Eating juicy fruits and vegetables and healthy foods like yogurt can save you from summer woes like dehydration, skin sensitivity, as well as vitamin and mineral deficiencies, suggest experts. * Tomatoes: While tomatoes are filled with antioxidants and Vitamin C, they also contain beneficial phytochemicals such as lycopene, which contributes to chronic diseases, especially cancer. * Zucchini: Part of the summer squash family, zucchini contains a fiber called pectin, which is linked to increasing heart health and lowering cholesterol. * Watermelon: A hydration tank, it keeps you cool and hydrated. The high water content will also keep you feeling full, which could curb cravings. 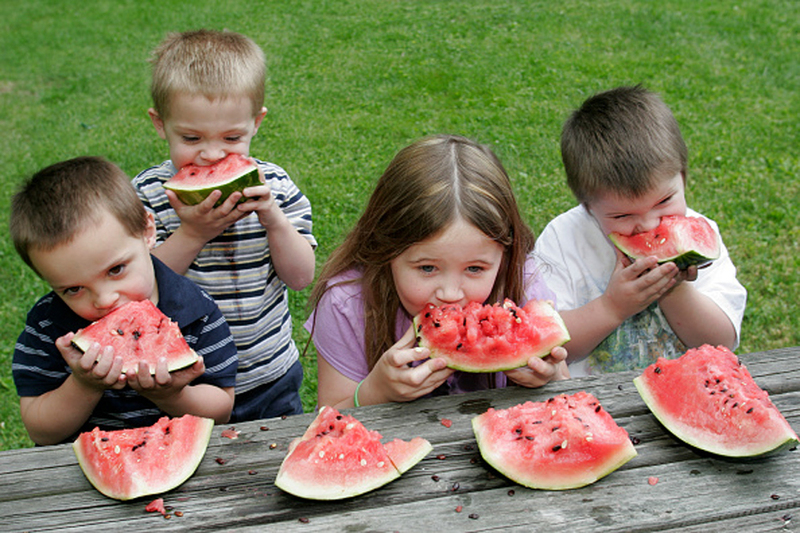 As an added summer bonus, watermelon also contains lycopene, which protects skin cells from sun damage. * Oranges: The sweet citrus fruit is rich in potassium, a nutrient that is crucial in the summer. It replenishes keeps muscle cramps away and has about 80 per cent water. * Yogurt: Protein-packed, portion-controlled, yogurt is made for summer eating. The protein satisfies your growling tummy, which will keep you from overloading on salty, high-calorie snacks. It also adds a dose of probiotics, beneficial bacteria that keeps your digestive system running smoothly. * Celery and fennel: These act as diuretics, helping you lose excess water weight without causing dehydration. The ingredients in these stimulate your kidneys, causing them to flush waste and extra fluid from your body, which beats bloat in your tummy. * Mint water with lemon: One glass of strained mint water with two drops of lemon works wonders. It acts as a liver cleanser, boosts your metabolism and helps those with a low appetite. * Barley water: Have two glasses a day and in case you find it bland, add a drop of lemon or honey for taste. Since barley water is rich in fiber, it prevents constipation and also helps in controlling your appetite. * Cucumber: It has an alkaline producing effect on the body. The high water content in it cleanses the body by removing toxic and old waste material.